Human bodies are used to teach students about the structure of the body and how it works. The bodies are also required to train surgeons and other healthcare professionals. The medical institutions receive dead bodies (called cadavers) by voluntary donations and also the unclaimed bodies provided by the Police. These donations are highly valued by staff and students in medical institutions. Anatomical examination: Teaching students & healthcare professionals about the structure and functions of the human body. Research: Scientific studies which improve the understanding of human body. Education and training: Training and practice for healthcare professionals, especially for those learning surgical techniques. Dadhichi Deh Dan Samiti is a registered Public Charitable Society. 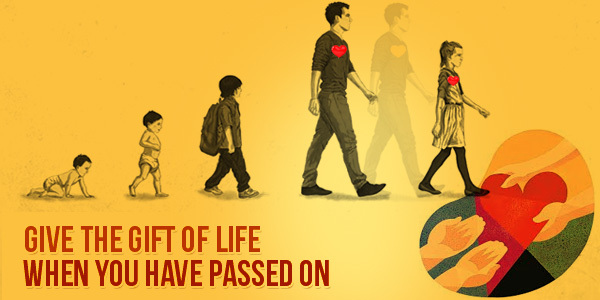 Its fields of work include organ donations, body donations, blood donation, stem-cell donation registry and other causes for persons with disability. The Samiti spreads awareness, motivates, registers the pledges for body/organs donations and co-ordinates the donation between his family and the medical institution after the death of donor. You can obtain form for registering pledge for donation and for information about this subject by (i) Click here or (ii) by SMSing your name and address to 0-981-012-7735 / 0-981-110-6331 / 0-958-288-3432 / 0-981-834-5704. It is necessary that you discuss your resolve to donate your body within your family and make a consensus. The form containing your pledge for body donation is required to have two witnesses, at least one from your family. You may courier the completed form to the office of Samiti. The process of registration is completed with the receipt of your form in the Samiti office. However, the Samiti shall invite you with your witnesses to a ‘Dehdaniyon ka Utsav’ for executing your will for body/organs donation and to receive your certificate and I-Card. Upon death of a donor, his family is to make a call on any of the above numbers. The Samiti thereafter co-ordinates with the donor’s family and makes all arrangements for the donation of the organs/body to a Govt. Medical Institution in Delhi.